We have a new trailer, at least. Square Enix's mysterious Left Alive project has been pushed back from an ambiguous "2018" release date to February 28th, 2019 in Japan. The delay isn't a huge surprise given how little we've seen of the game. Square Enix did, however, show a new cinematic trailer today during Sony's pre-Tokyo Game Show event. Set in the fictional city of Nova Slava, it follows three characters as they try to endure a futuristic warzone filled with soldiers and mechs. 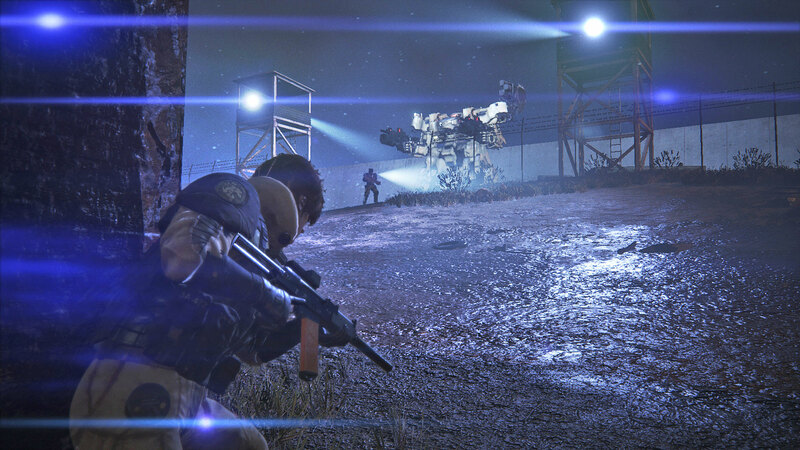 The teaser had no gameplay (boo) but did show some impressive-looking robots sliding around. Which is no surprise, really, given the game's director is Armored Core legend Toshifumi Nabeshima.